Fearing poaching of its legislators by the ruling Congress-JD(S) coalition in Karnataka, the Opposition BJP in the state has shifted its MLAs to a resort in Haryana's Nuh district near the national capital, according to sources. BJP state president B S Yeddyurappa, former chief minister Jagadish Shettar and other senior leaders like Shobha Karandlaje are among the 104 MLAs staying put in the ITC Grand Bharat resort in Hasanpur Tauru in Nuh district since Monday. The sources said the BJP legislators have been shifted to the resort in an attempt to keep the flock together and thwart any poaching attempt by the Congress-JD(S) combine. "We are staying in the resort. We don't know how long we are going to be here," Shettar told PTI. About three-four MLAs have gone back to the state for personal work and they would return soon, the sources said. According to media reports, six to eight Congress MLAs are ready to cross over to the BJP and some lawmakers of the ruling coalition having gone incommunicado. On Monday, both the ruling Congress-JDS coalition and opposition BJP traded charges of making a renewed bid to poach MLAs. 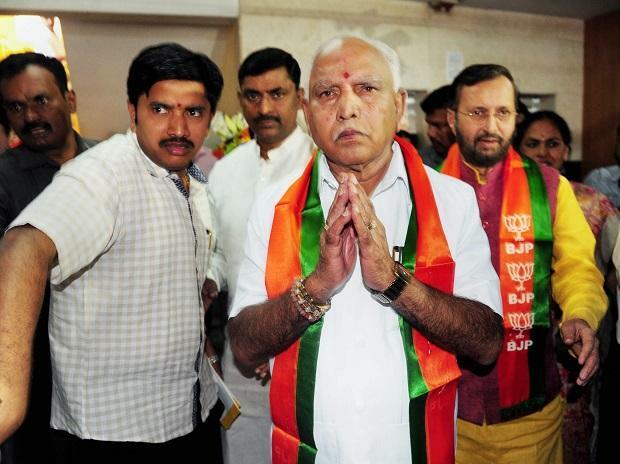 Rubbishing reports about the BJP attempting 'Operation Lotus' to topple the coalition government in Karnataka, state party chief Yeddyurappa had said there was no truth in it and alleged that the Congress-JD(S) combine was trying to lure Opposition MLAs. 'Operation Lotus' is a reference to the BJP's alleged bid to lure several opposition MLAs to defect to ensure stability of its then government headed by Yeddyurappa in 2008. Chief minister H D Kumaraswamy had said he enjoyed the support of 120 MLAs and alleged that Yeddyurappa was making "futile attempts" to destabilise his government. In the 224-member Assembly, BJP has 104 members, Congress-79, JDS 37, BSP, KPJP and Independent one each, besides Speaker. BSP and an Independent are supporting the coalition.